It’s been a busy week in the Studio. I’ve had many prototype ideas going through my head for ages, and I finally had some time to experiment. It’s always a bit tough for me to try out prototypes as I hate to waste the materials if it isn’t going to work out, and if they aren’t perfect, what to do with it? First up was a production run of toy cameras. Made from Walnut for the body, and maple for the lens, these were a copy of a prototype I made (and gave away to my daughter). I love the simplicity of these, just the basics of a real camera, viewfinder-lens-shutter button. They are finished with a light coat of mineral oil, and are for sale in my Etsy Store, as well as in Patisserie La Toque in Wakefield, Quebec. Next up, a mid-century modern inspired chair. Made from Baltic Birch plywood with padauk wedges in the through tenons. I curved the back using bent lamination and the seat is covered with an upholstery grade corduroy. I’d like to make these adult size, but for the prototype I decided to build it for a child so as to not use as much materials. It’s now my daughters favourite chair! After seeing me taking pictures of it, she yelled at me, “You’re not going to sell my chair are you???!!!”. She’s hard to please, but I clearly won her over on this one. These chairs will be custom order only as I don’t have the space to store finished chairs, and this will allow people to choose their upholstery colours. Next week I’ve got some canoe paddles on the go as well as a few more prototypes to try out, stay tuned! 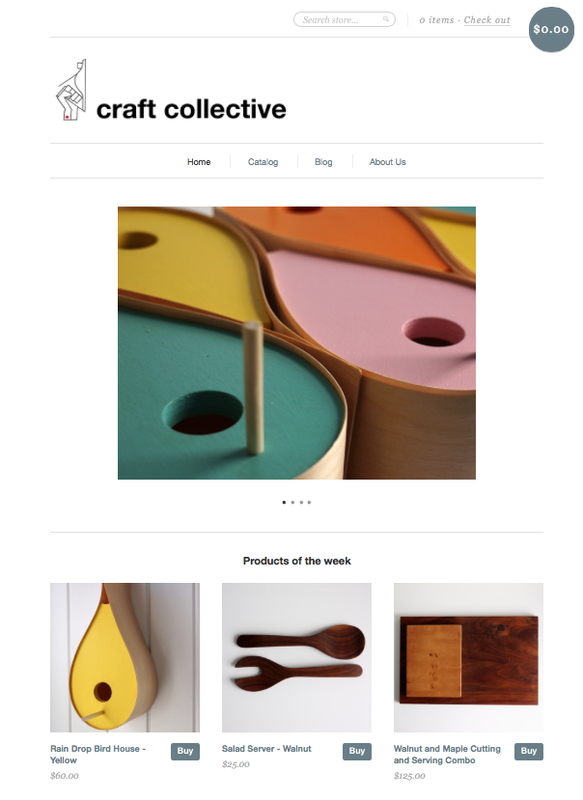 52 Create – my weekly creative project for 2011. Last week I brought you the wildly popular Flat Pack Rocking Chair, which is up on my Etsy store, and getting huge traffic (don’t worry I will put up more chairs as they sell). 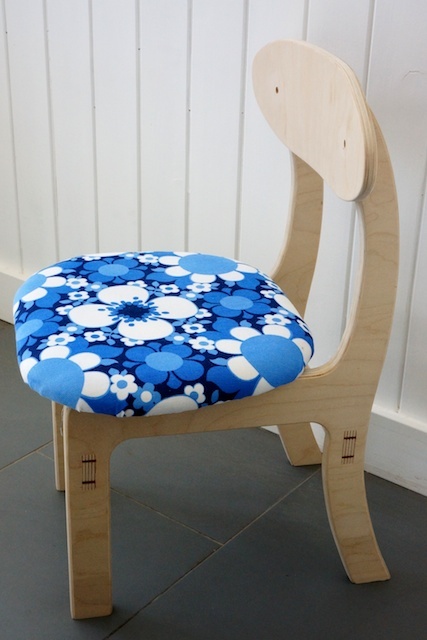 So this week I thought I would continue on the flat pack idea and make a small stool for a toddler (ie. my daughter). 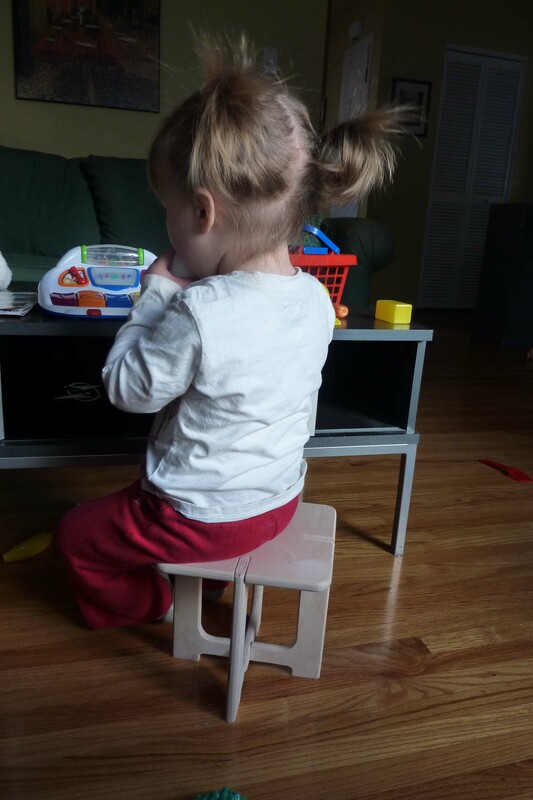 Anyone with kids in the 12+ month range knows how much they love to sit on things, so why not make a little piece of furniture her size? 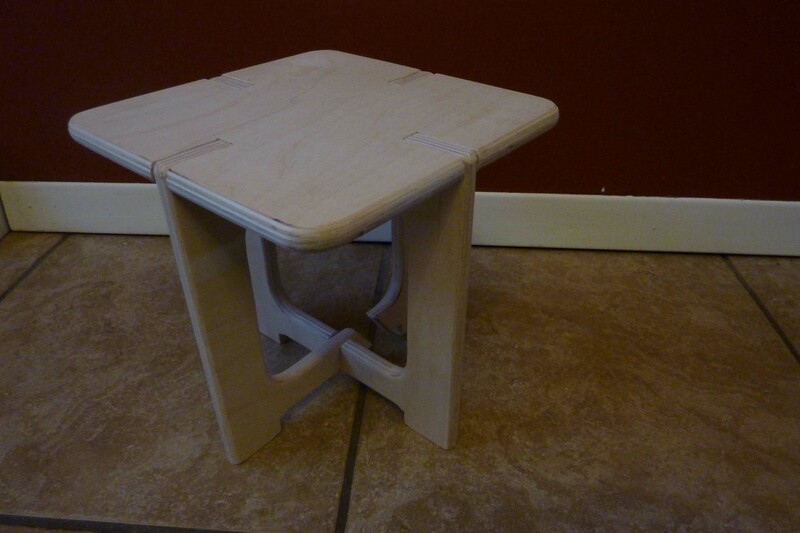 The stool is made out of 1/2″ baltic birch, I was going to use 3/4″ but at the last second opted for the thinner stock. I’m quite glad I did as it is still plenty strong enough (I can stand on it) and it keeps it nice and lightweight (my 18 month old daughter can lift it easily). It’s 8″ x8″ x 8″ and is just perfect for your average 18 month + child. I really like the design and may enlarge it to make some end-tables for our living room (I’d use 3/4″ and likely 16″ pieces). The entire stool collapses into a pile of wood 1/5″x8″x8″ so very easy to ship and even easier to put together (no glue, nails, screws, or tools required). I want to tweak a few design aspects on this one before I list it on Etsy, but I think it will be a hot seller just like the Flat Pack Rocker! I’ve got a couple of commissions coming up so the next few projects may be a bit scaled back compared to the last couple of weeks, come back next week to see what’s coming out! 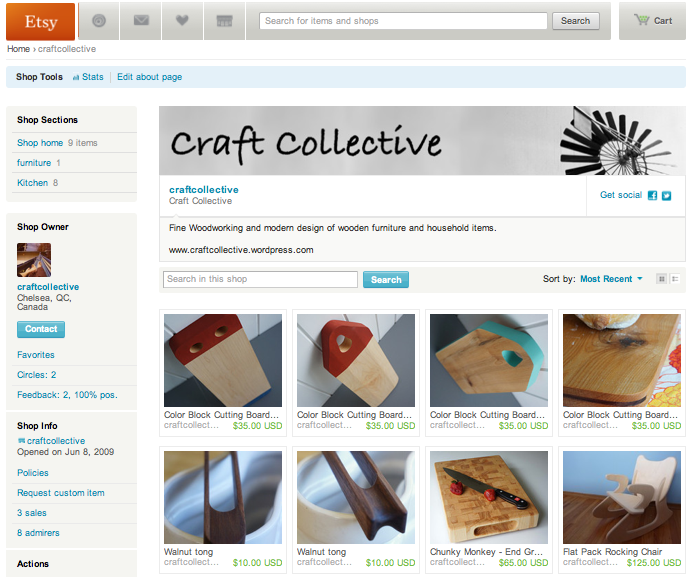 52 Create, my weekly creative output for 2011. I guaranteed something more ambitious this week, and here it is! I call it “For those who Like to Rock”. 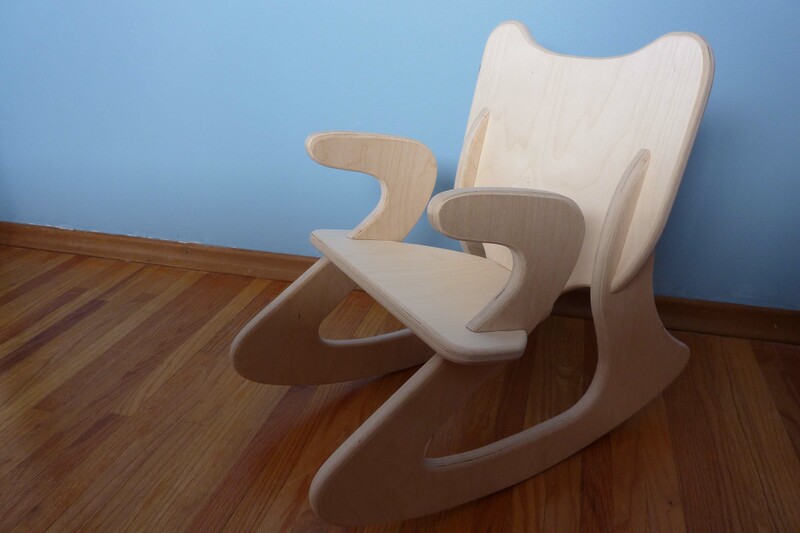 It’s a flat pack rocking chair made out of baltic birch plywood. 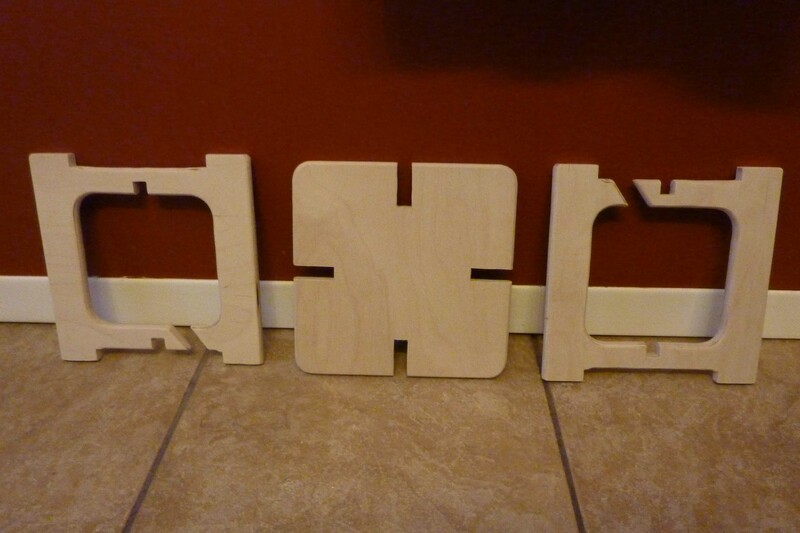 It’s sized for a toddler (1.5-4 years) and assembles without and glue or screws. I’ve had several different variations of this in my many sketchbooks, and I even made a prototype a few years back, however this is a full finished product. This rocking chair is now for sale on my Etsy Site, feel free to stop by and make a purchase…. Black Forest Wood Company offers many wood working classes and I’ve always been interested in taking one or two of them. Unfortunately my previous line of work had me away at night and on weekends, which ruled out just about every class they have ever offered. 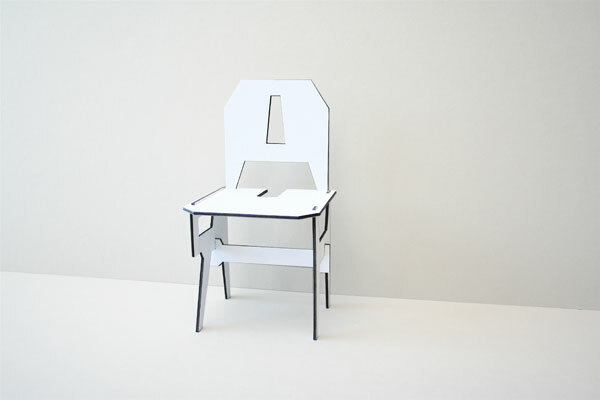 The class that interested me the most was “Anatomy of a Chair” taught by Doug Haslam. 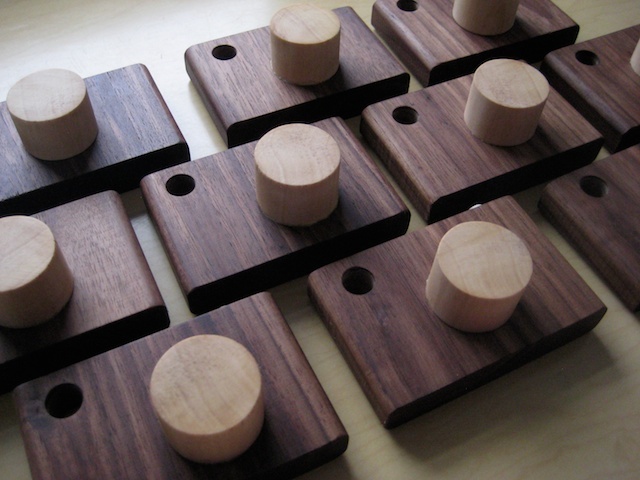 Doug is a local furniture designer and maker and has been teaching this class for several years. The class is limited to 8 students so you get lots of one on one time with Doug. He has a great wealth of knowledge and what I really liked about the class was that he would give instruction, and then let you go and figure it out for awhile. He was always around for questions and you really got the most out of the class by asking as many as possible. 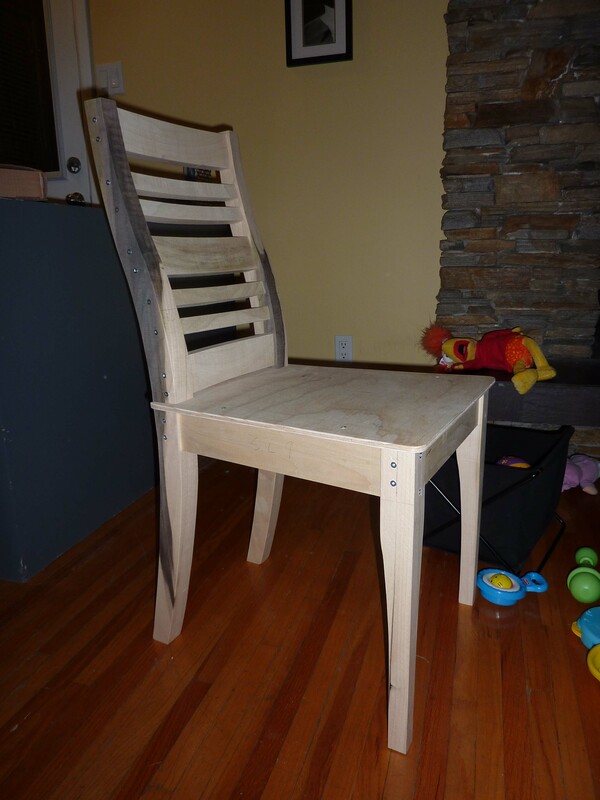 The weekend was spent learning the various geometries of chairs, then designing and finally building a prototype chair out of poplar using screws to hold it together. 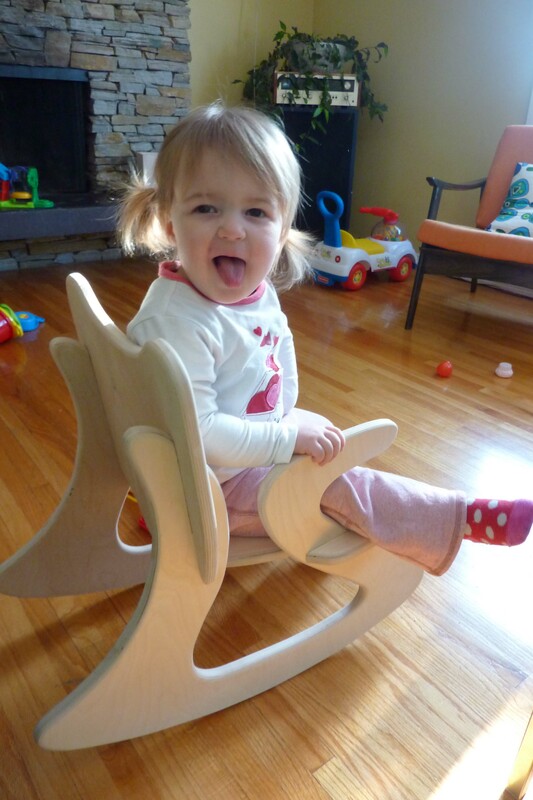 You were free to do whatever you liked, however the chair was meant to be of the kitchen/dining variety. At the end of the second day we were taught about mortise and tenon joints and shown how to make one. My only criticism was that we didn’t actually get to practice this. I was quite happy with my chair and how it turned out. It’s not necessarily the style of chair I would make for myself, I chose the design in order to best learn the various techniques needed to build it. It’s incredibly comfortable, and while I never meant for it to be used in my house, it is currently attached to my daughters booster seat high chair as it’s far more stable than our crappy Ikea chairs. I highly recommend the course, it’s well worth the money and you don’t even require a whole lot of woodworking skills as Doug can teach you as you go (a couple of guys in the class had only ever used hand tools but were quickly brought up to speed on the bandsaw, jointer, table saw, and drill press). This combination cork coffe table/side table/seat (and I’m guessing a stool in a pinch too!) 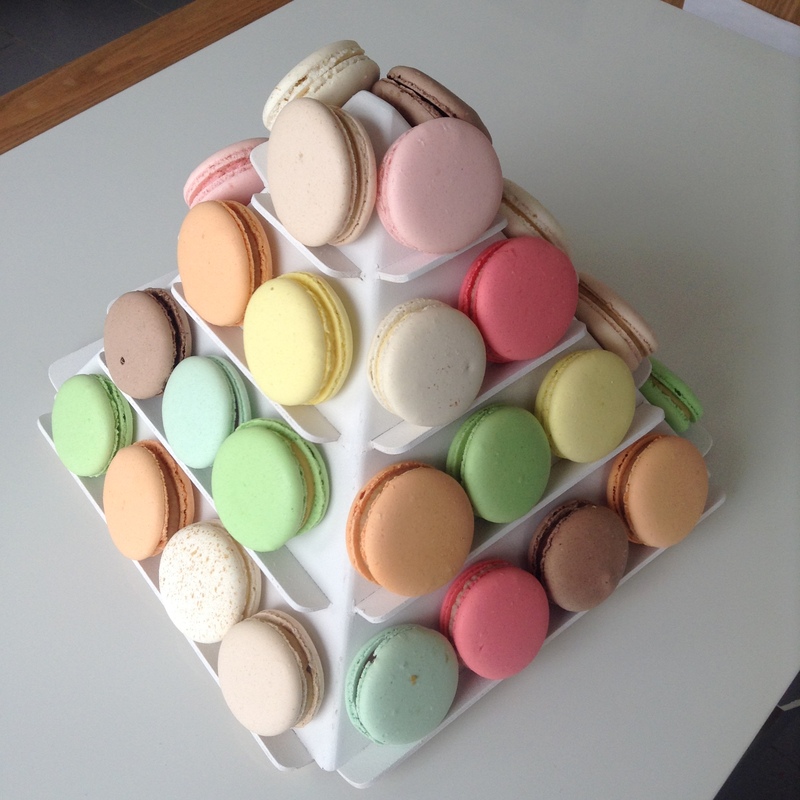 is wonderful. 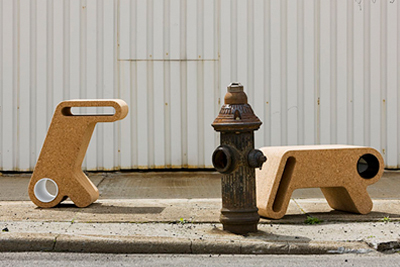 Made from sustainably harvested cork, more details here. I love flat pack furniture. I love to dream up designs that I’ll build one day with my very own home-made CNC machine, but until it’s finished, I have to satisfy myself with other people’s creations. 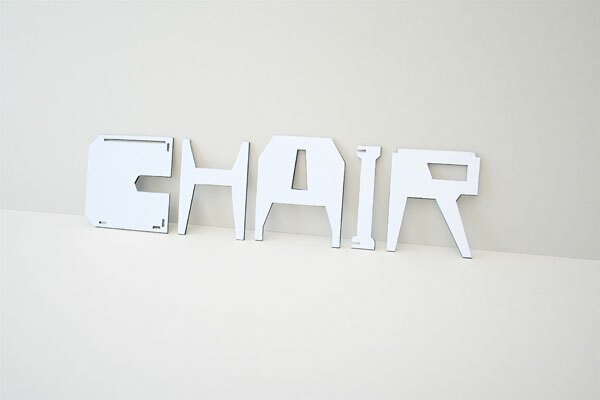 Eric Ku‘s CHAIR is a flat pack chair made out of the letters that spell chair. Clever yet functional, love it.